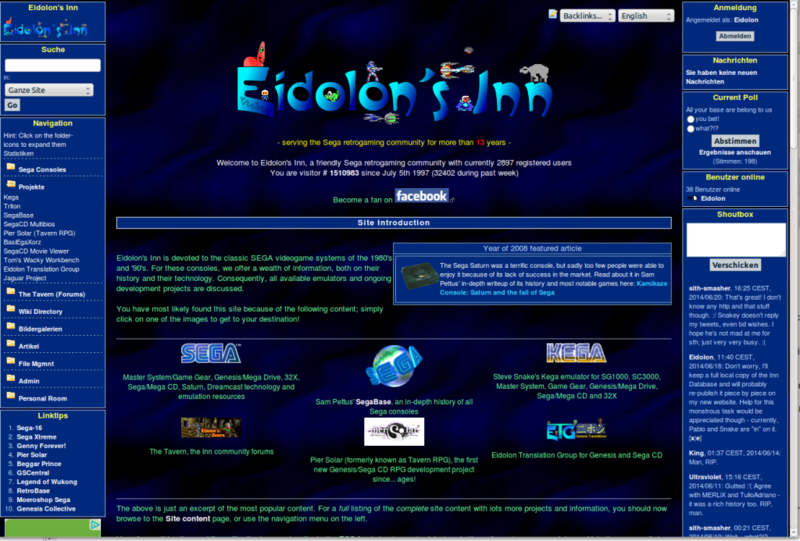 From July 5th, 1997 until July 5th 2014 – for 17 years – Eidolon’s Inn was an independent website devoted to the classic SEGA videogame systems of the 1980’s and ’90’s. For these consoles, the website offered a wealth of information, both on their history and their technology. Consequently, all available emulators and ongoing development projects were discussed. After 2005, the site became rather inactive. One could see the proverbial tumbleweeds rolling by, only revived slightly by occasional releases of new versions of the Kega emulator.